Delaying digestion and absorption of sucrose. Moderating alpha-amylase enzyme activity to reduce the absorption of carbohydrates into the bloodstream. 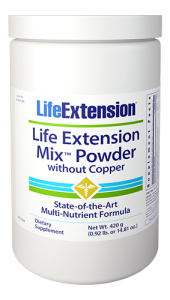 While Life Extension customers understand the benefits of calorie restriction, that doesn?t make it any easier to cut back on refined sugar, one of the major calorie culprits in the American diet. Sucrase is the name given to a number of enzymes that catalyze the hydrolysis of sucrose to fructose and glucose in the small intestine for absorption into the bloodstream. Phase 3™ is a patented compound that functions as a beneficial sucrase modulator. It contains L-Arabinose, a natural substance found in plants that reduces the number of absorbed calories from sugar.1 Phase 3™ can help support healthy insulin metabolism and blood sugar levels in those already within normal range. Phase 3™ is just one ingredient in Optimized Irvingia. Participants in a human clinical trial showed an average weight loss of 30 pounds and a 10% reduction in waist circumference in 90 days when 300 mg/day of this new green tea phytosome was taken in conjunction with a reduced-calorie diet.46 The placebo group that followed the same reduced-calorie diet lost only 9.9 pounds on average and only 5% of their waist size. Optimized Irvingia contains the exact same green tea phytosome as was used in this study. Aging reduces our ability to utilize the carbohydrates (and fats) that constitute what most would consider part of a healthy diet. The result is that as we grow older, our bloodstreams become bloated with glucose and triglycerides in direct contrast to the metabolic profile we have in our younger years. Emerging scientific research suggests that the alpha-amylase enzyme plays an undesirable role in the digestion of dietary carbohydrates and subsequent absorption of calories from starch and sugar. A natural bean extract (Phaseolus vulgaris) moderates alpha-amylase activity. In a human trial in which all overweight participants were placed on a 2,000 – 2,200-calorie, carbohydrate-rich diet, those taking Phaseolus vulgaris lost 6.5 pounds and 1.2 inches in waist size in only 30 days compared with 0.8 pounds and 0.2 inches in the placebo group.47 Optimized Irvingia contains the identical Phaseolus vulgaris used in this study. Remember, young healthy individuals rapidly convert ingested fats and sugars into energy. Age-related changes decrease our metabolic capacity to efficiently utilize dietary fats and sugars. It is thus paramount for aging people to reduce their absorption of excess calories. By taking nutrients before each meal that reduce the activity of carbohydrate and fat digesting enzymes, the calorie burden is significantly reduced. Optimized Irvingia provides the same InSea2® extract used in laboratory studies. Fat cells (adipocytes) secrete a hormone called leptin that tells our brain we have eaten enough.4 Leptin can also facilitate the breakdown of stored triglycerides in our adipocytes via the process of lipolysis. Heavy individuals have startlingly high blood levels of leptin, indicating that their cells have become resistant to the leptin that is supposed to inhibit them from putting on so many fat pounds. Glycerol-3-phosphate dehydrogenase is an enzyme involved in the complex biochemical process that converts ingested starch and sugar calories to stored body fat. Irvingia has been shown in studies involving fat cells to reduce the activity of glycerol-3-phosphate dehydrogenase,5,7 which may help reduce the impact of starch and sugar calories on body fat. Optimized Irvingia with Phase 3™ Calorie Control Complex is indeed an innovative multi-modal approach to weight loss with an additional benefit. 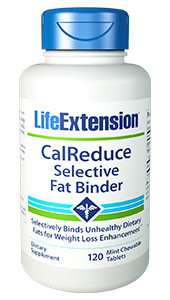 By helping to slow the absorption of starchy food or sugars, it reduces their caloric impact. And according to a recent mammalian study, those following a calorie-restricted diet were shown to significantly reduce the risk of mortality from age-related causes.9 This suggests that regular supplementation with this or any irvingia formulation may help provide anti-aging benefits similar to those found in this recent study. Other ingredients:vegetable cellulose (capsule), lecithin, gum arabic, stearic acid, silica, vegetable stearate, maltodextrin. IGOB-131® proprietary extract is a registered trademark of Gateway Health Alliances, Inc. Phase 2® and Phase 3™ are used under license. Take two (2) capsules twice daily 15 minutes before meals. 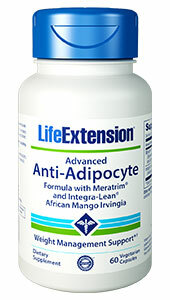 This product is designed to target several critical factors involved in age-related weight gain. Those who ingest more calories than what their body has the metabolic capacity to utilize will not see results. This is because some people are ingesting so many excess calories that no matter how much their metabolic rate is increased, or how much improvement occurs in their post-meal blood sugar and serum triglyceride levels, or how much youthful insulin sensitivity and other body fat-regulating systems are restored, they are overwhelming the metabolic capacity to utilize these calories. This will result in excess calories being stored in adipocytes. One cannot consume limitless calories and expect to shed fat pounds by taking drugs, nutrients, and/or hormones that demonstrate weight-loss effects in clinical studies.